InLoox PM 8 is available in several languages (English, German, French, Italian and Spanish). During the installation of InLoox PM 8 you have already set your preferred language. This short video will show you how easy it is to change the language settings if you ever need to. 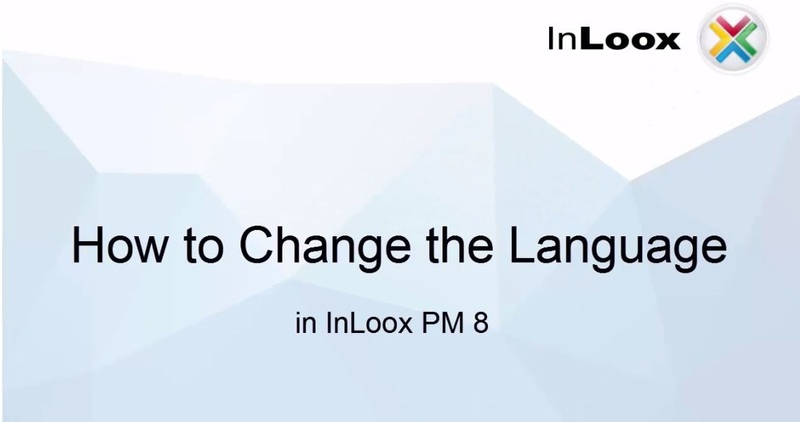 Video Tutorial: How to Change the Language Settings in InLoox PM 8 - InLoox • Copyright 1999-2019 © InLoox, Inc. All rights reserved.